Landlords, Tenants, and Floods. This Is For You Alberta. Came across this great piece at Law Now, that touches on the mess that Alberta’s floods have wreaked on both landlords and tenants in the province. 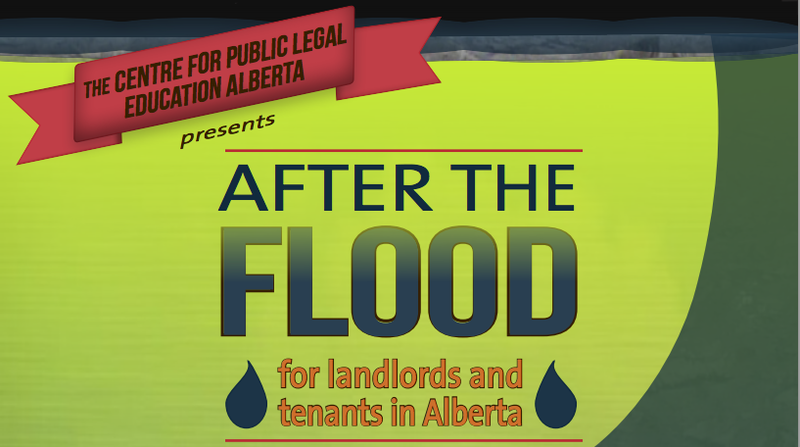 The Centre for Public Legal Education Alberta has developed an info sheet to help people – both landlords and tenants-to understand their rights and responsibilities after the terrible flood. A rental agreement can be frustrated, which occurs when something happens that is out of the control of both parties, and makes continuing with the agreement impossible. There are many reasons why a tenancy can be frustrated including if the property is destroyed, if there is an order under the Public Health Act that says the property is unfit for human habitation, if the property is so damaged that a reasonable landlord would not fix the damage, or if it is so damaged that a reasonable tenant would not be willing to remain living there. Check out the fact sheet here. It’s great.